After watching its Edge browser bleed users, Microsoft this week gave up the ghost and said it will replace the browser's home-grown rendering engine with Blink, the engine that powers Google Chrome. After a years-long pummeling, Microsoft this week surrendered in the browser war, saying that it will junk Edge's home-grown rendering engine and replace it with Blink, the engine that powers Google's Chrome. With Edge pulling code from the Chromium project, the browser will also be able to run on Windows 7 and Windows 8.1, as well as macOS. "We intend to adopt the Chromium open source project in the development of Microsoft Edge on the desktop to create better web compatibility for our customers and less fragmentation of the web for all web developers," wrote Joe Belfiore, a corporate vice president in the Windows group, in a post to a company blog. Belfiore's announcement was a stunning humiliation for Microsoft, which in the early years of this century ruled the browser world after Internet Explorer (IE) had obliterated Netscape Navigator and achieved market share in excess of 90%. Although Edge will survive, it will no longer be a Microsoft-made browser: It will exist as a UI (user interface) wrapper around core technologies developed almost entirely by Google engineers, in the same way Opera has existed since 2013, when it ditched its own internal engine for Chromium's Blink. Microsoft cast the decision as affection for, and adoption of, open-source software that would, said Belfiore, lead to an application compatible "with other Chromium-based browsers." That would "make the web experience better" for users, web developers and corporate IT, he argued. Not surprisingly, Belfiore declined to mention the poor showing of Edge and the years of user share declines that bled IE white. But taking up Chrome's rendering engine - dubbed "Blink" when it forked from WebKit in 2013 - was an admission of defeat and a move of desperation. Microsoft's troubles were largely of its own making. In 2014, a year before the debut of Windows 10 and its default browser Edge, Microsoft announced that it would require all Windows users to run the most-recent version of IE, and when that requirement took effect, dropped support of the others. That, combined with the glacial development pace of IE, opened the door for rivals. Millions of Windows users, when faced with a change of browsers, decided to change from IE to Chrome rather than go from one version of IE to another. From January 2016, when the mandate went into effect, to the end of that year, Microsoft lost an astounding 22 percentage points of user share by the tally of analytics vendor Net Applications. That represented nearly half of IE's and Edge's share at the time. No other browser had fallen that far, that fast, in just 12 months. Although the losses weren't as steep in 2017, Microsoft's browsers lost an additional 35% of their remaining share that year. Nor did Edge make up for IE's fall from grace. The former never caught on with Windows 10 users. At its best, the browser was the first choice of about a third of them, but in November 2018, that had shrunk to approximately one out of every 10. Microsoft had choices: It could pack it in and refuse to bother building a browser. It could keep on keeping on by continuing to watch Edge's relevance evaporate. Or it could try to get into the mainstream tent by adopting Chrome's rendering engine. All three smelled of failure, but the third had the least odor. "Our intent is to align the Microsoft Edge web platform simultaneously (a) with web standards and (b) with other Chromium-based browsers," Belfiore said Thursday. "This will deliver improved compatibility for everyone and create a simpler test-matrix for web developers." Microsoft's move will do more than that. By replacing Edge's rendering engine - named "EdgeHTML" - with Blink, Microsoft's one remaining browser will be able to access the library of Chrome extensions. That will be welcome to Edge diehards, because the browser's meager library of add-ons has been a serious point of pain. Joining Chromium and putting Blink inside Edge will also allow Microsoft to again offer a cross-Windows and cross-platform browser. "Microsoft Edge will now be delivered and updated for all supported versions of Windows and on a more frequent cadence," Belfiore said. "We also expect this work to enable us to bring Microsoft Edge to other platforms like macOS." Microsoft's timeline for shifting from EdgeHTML to Blink was vague; the company said it would work on the change "over the next year or so" and that a preview would be available in early 2109. How that timetable, and a Chromium-based Edge, would help Windows 7 users is unclear, since the OS is currently set to exit public support in only 13 months: mid-January 2020. The Redmond, Wash. developer may be assuming that significant numbers of Windows 7 PCs will survive support retirement - a near certainty according to usage data - or is hoping that enterprises that pay to extend support beyond 2020 will run Edge rather than Chrome or IE11. Windows 8.1, the other now-supported OS, is a non-factor: Only about 6% of all Windows PCs rely on the edition. Detaching Edge from Windows 10 will have another benefit for users, as it will result in new updates, courtesy of Chromium, every six to eight weeks, rather than the twice-annual tempo Edge now follows. As each new version of Chromium is completed - and Chrome comes out with an update - Microsoft will presumably roll that code into its own Edge, as Opera Software now does for Opera, and launch a refresh. Google plans eight Chrome updates in 2019, the same number as launched this year. If Edge relied on Chromium now, it would be upgraded in the coming year four times as often as in 2018. What does Microsoft get out of it? 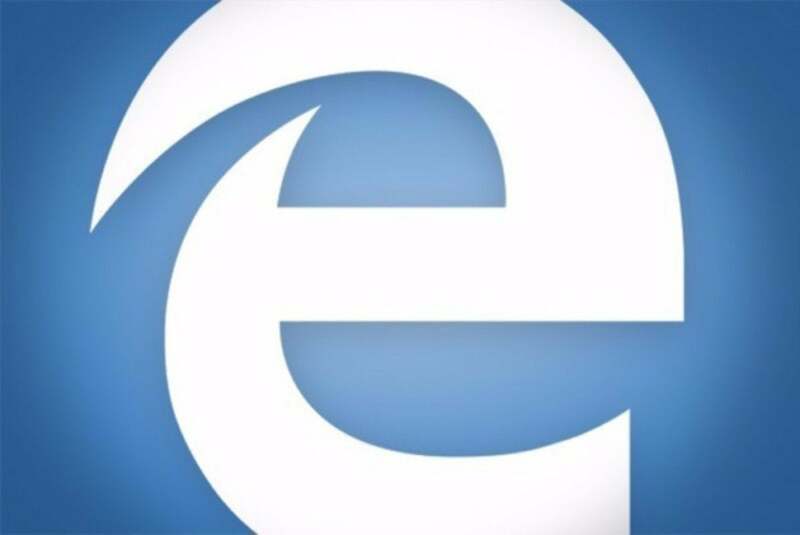 Belfiore said little about what Chromium does for the company, other than keep Edge alive. One potential benefit, assuming the move halts the decline of the browsers' share, would be to Bing and the ad revenue generated by Microsoft's search engine and site. Even with a shrinking browser share, Microsoft has increased Bing revenue by double digits for five consecutive quarters. Increasing browser share would be the simplest way to pull more profit from search. By piggybacking on Chromium, Microsoft may also be able to reduce the number of engineers working on its browser. While Belfiore said the firm would "become a significant contributor to the (open-source) Chromium project," its part will almost certainly be smaller than Google's. But will the desperate measure work? It's impossible to know with certainty, but the odds are against Microsoft reclaiming substantial browser share. Once in decline, a browser just doesn't come out of its funk. Netscape Navigator did not. Nor has Mozilla's Firefox stymied the decline which began in 2010. (In November 2018, Firefox had a 9% share, far below the 25% high-water mark in March 2010.) And Opera, which stood at 1.7% when it joined the Chromium project, didn't turn things around with the change of rendering engines; the latest from Net Applications was Opera at 1.6%.